The national holidays, being the most colorful celebrations, with great gastronomic offer and entertainment in Mexico, have become a tourist attraction for international travelers. For this season it is estimated that 260,000 tourists will arrive, which will leave an economic impact of approximately 484 million pesos, as indicated by the Ministry of Tourism (Sectur). The travel agency, Almundo, reported an increase of 13% in the sale of trips for the weekend that will commemorate the 208 anniversary of the Independence of Mexico, compared to last year, being the most requested destinations Cancun 6.9%; Mexico City, 5.9%; and Mérida, 3.9%. 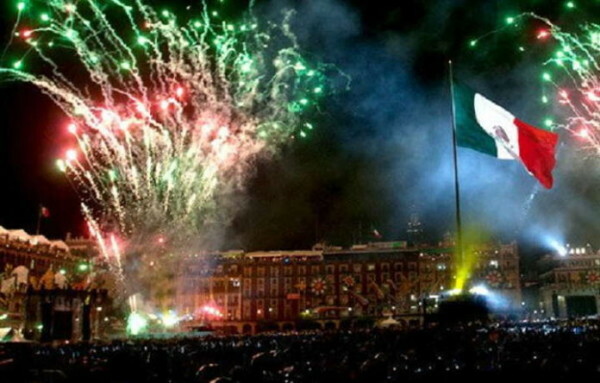 Other destinations that stand out for their way of celebrating this date are: Guanajuato, cradle of the independence movement, which received about 231,000 visitors and tourists last year, with an economic spill of 828 million pesos. In addition, this entity houses important tourist cities such as San Miguel de Allende, named the best place to reside in Mexico and recently considered among the top 10 international destinations to visit, for its cultural offer and luxury accomodations. In Jalisco the Magic Town of Tequila offers a one-of-a-kind celebration featuring mariachis, pyrotechnic games and of course, tequila. At this place, visitors have the opportunity to tour and admire the agave fields, recognized as World Heritage. “This is one of the most important festivities in the lives of Mexicans and we all celebrate it with great enthusiasm and joy. Our travel agency takes advantage of these dates to promote local tourism through complete and accessible packages for national travelers “, concluded the chief marketing officer for Latin America in Almundo, Sofía Ramírez.